'We've Had Enough Bushes,' Says Former First Lady Barbara : The Two-Way On the day her son George's presidential library is being dedicated, she tells Today that Jeb is "by far the best-qualified man," but that another Bush presidential run might be one too many. Former first lady Barbara Bush in March 2012. 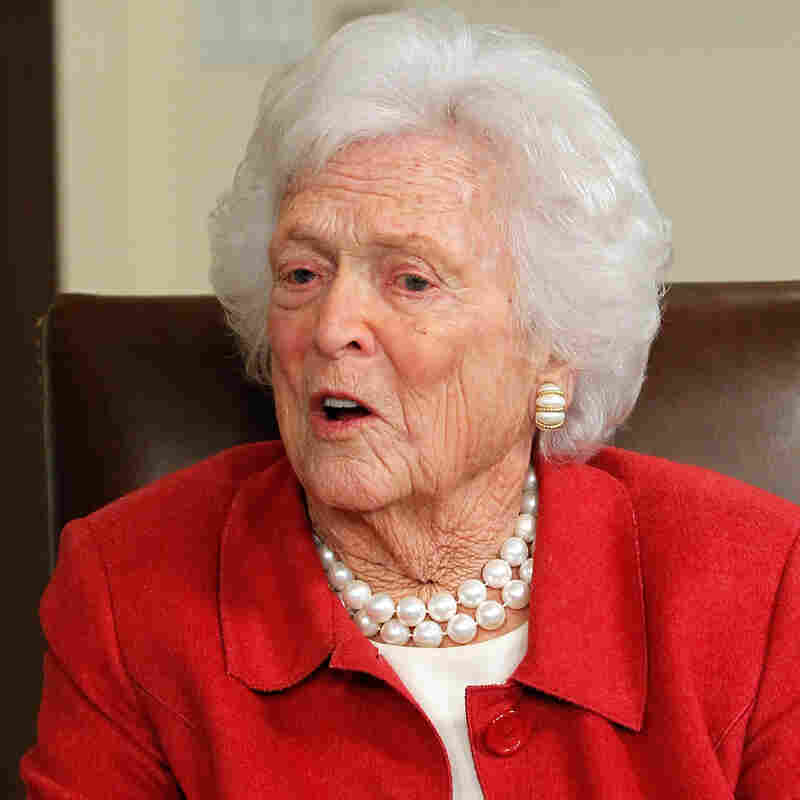 On the day her son George's presidential library is being dedicated in Dallas, former first lady Barbara Bush has told NBC's Today show that "we've had enough Bushes" when it comes to seeing the presidency. She was asked about the possibility of another son, former GOP Florida Gov. Jeb Bush, running for the White House, in 2016. "She still called her son [Jeb] 'by far the best-qualified man,' but went on to say she thought there were many worthy candidates."